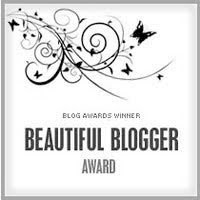 Our Momo Blog recieved a nod for a BEAUTIFUL BLOGGER AWARD last month by the remarkable Martha Williams, who's not only an excellent writer but also a sailor, diver, mother, humorist, and too many other things to mention here; you just gotta go to her website and visit a while. 1. "Here" for us is New Zealand these days; we're on a pile mooring in Whangarei's Town Basin -- which is, incidentally, one of the few times we've not been at anchor in eight years (once when Jana was born; once we left our boat in Skagway for an excursion to the Yukon; and a few other times when anchoring was not an option, such as Radio Bay, HI, Lahaina, HI, San Diego). 2. Jana now talks about "mates" and "knickers" (and is also pleased about her first loose tooth). 3. Lola has outgrown every pair of shoes and pants we've gotten for her in the last several months. 4. Both kids love the idea of school (more than the reality of getting out the door every morning), but they also feel a certain melancholy, along with their parents, that Momo is not sailing north this season. 5. We have discovered Whittaker's chocolate, which helps heal the hole in our hearts where Milka used to be. 6. Our bottom paint experiment continues: this time, we're seeing how long the ablative paint will last, since we are not moving. On the other hand, we're watching that waterline scum grow in our motionless state, but only a little, since our ablative-paint-waterline-experiment is doing quite well (forthcoming Cruising World article posted soon). 7. You can tell winter's almost upon us by the way our kids dress. It's really only fall here, but Lola and Jana have inherited their mother's predilection for hats and scarves. Lola believes in layers and layers of fleece. Jana, however, has declared herself a "New Zealand girl" and so skips off to school (we've still never seen her walk; she runs or skips everywhere) with hat, scarf, sweater, umbrella, and flip-flops. Cool stories in German. What more need we say? We've been in New Zealand since December (09) and we're working on getting our residency sorted, because Whangarei is the perfect place from which to explore New Zealand and its surrounding waters. For the first time in eight years, we're staying put for two consecutive seasons. It's a strange feeling, but a good one too. Lola and Jana are attending Whangarei Primary School, and Bernie and Michelle are immersed in writing and editing and translating projects, all the while job-hunting to keep us in the South Pacific. The North Pacific's too cold, Australia's too big, North America is a little nuts these days, and Europe is too expensive. Yep, New Zealand suits us thoroughly, so keep your fingers crossed for Michelle's mad job-hunt and we'll keep you posted when someone decides she's just too good to pass up. We look up from the tap-tap of fingers-on-laptops every now and then and get out and explore. This is a beautiful country. 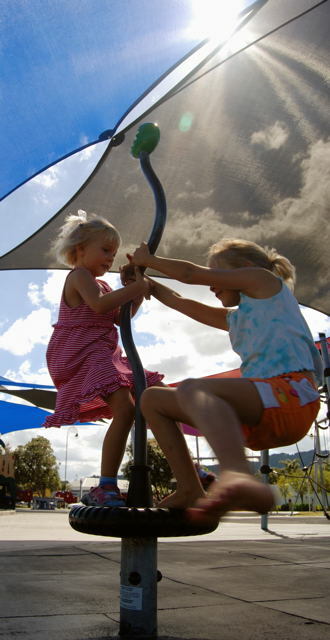 Here are some reasons why we love Northland.